FORMER Rain or Shine guard TY Tang is set to be appointed head coach of College of Saint Benilde in the NCAA, sources told SPIN.ph on Wednesday. According to the source, only minor details are being ironed out before Tang is oficially named to take over the job left vacant after Gabby Velasco's resignation at the end of last season. Tang, a former star at Xavier in high school and La Salle in college, will be assisted by Charles Tiu on the bench of the Blazers, who only won one out of 18 games in Season 92 of the NCAA. 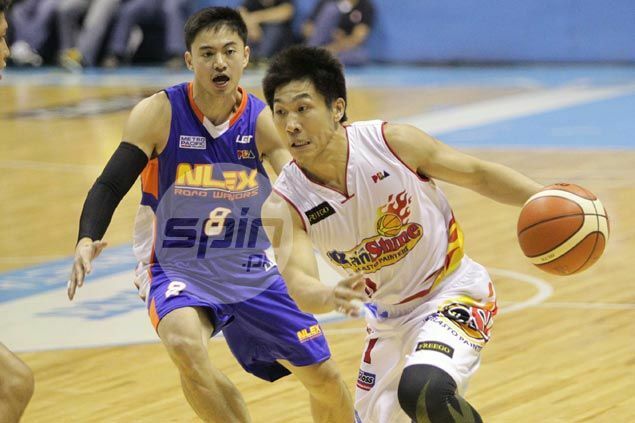 Once it becomes official, Tang will embark on his first foray into coaching, just over a year after retiring as player of Rain or Shine at the end of a seven-year PBA career. He returned to commercial ball this year through Mighty Sports, where Tiu served as assistant and later head coach of the ballclub in the Jones Cup in Taipei and the Lions Cup in Singapore. Tiu is a former assistant coach of Rajko Toroman with Gilas Pilipinas and Barako Bull in the PBA. La Salle assistant coach Siot Tanquingcen, a three-time PBA champion coach, was also considered for the CSB head-coaching job, according to sources.